As well as having an envious career as a burlesque performer, Coney Bow is also an accomplished jazz and vintage dance styles performer; not to mention having her own production company. I’m pretty proud to have this fabulous dancer here on Pinup December. What Coney Bow is most proud of this year … (in her own words) “In 2014 I finally took the time to focus on my solo burlesque career. The past few years I had left it aside to concentrate on my dance company Pineapple Productions and my teaching, and didn’t perform any of my burlesque acts for 18 months. This year I decided it was enough; I was missing it too much. So I went for it, and it paid off! I ended up performing my Green Chair act at the Australian Burlesque Festival, the Ottawa Burlesque festival (Canada) and the New Zealand Burlesque Festival. Coney Bow’s charity of choice … is the Breast Cancer Foundation. Join Coney on Facebook: click here. 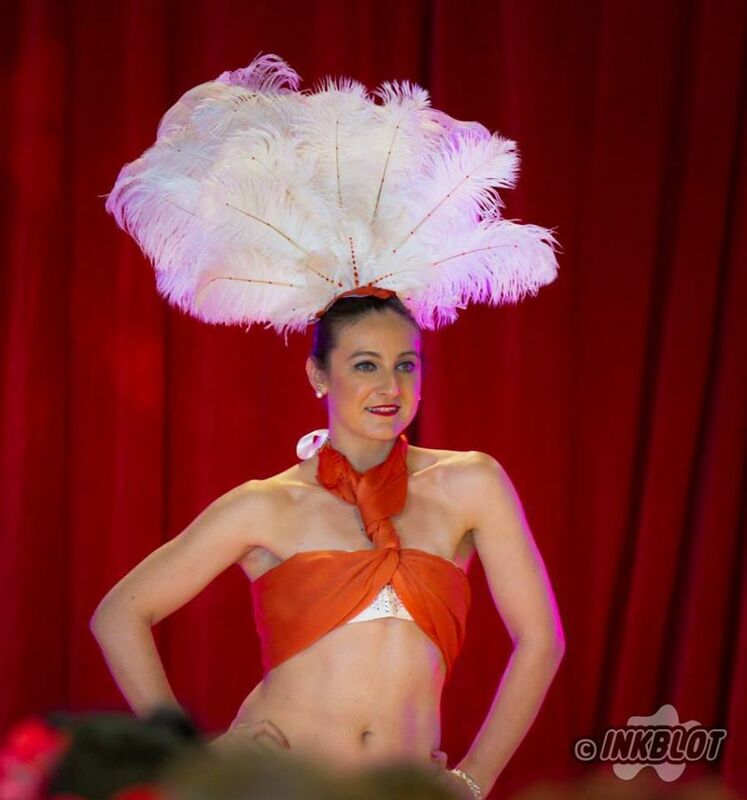 Posted on December 6, 2014 December 6, 2014 by MumptyStylePosted in Burlesque/PinupTagged Breast Cancer Foundation, burlesque, Coney Bow, discount code, Duchess of The NZ Burlesque Festival, Flo Foxworthy Costumier, InkBlot Photo, New Zealand Burlesque Festival 2014, Pineapple Productions, Pinup December.